Pavan Dhillon is an experienced Canadian immigration attorney licensed in British Columbia and New York. Dedicated to exceptional client service, she provides practical advice in all areas of Canadian Immigration law including temporary and permanent residence applications. She has over 10 years of experience providing customized Canadian immigration advice to companies and individuals in her specialized cross-border immigration practice. She limits her U.S. immigration practice to federal Immigration law. 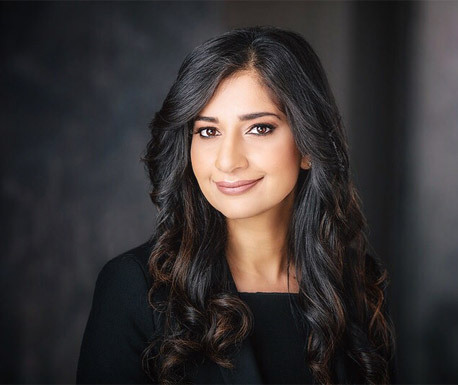 Born and educated in Canada, Pavan immigrated to the United States where she successfully managed and shaped the largest Canadian immigration practices in the country. Specifically, she led the Canadian immigration practice for Seyfarth Shaw LLP, a leading Am100 law firm with offices across the United States, the United Kingdom, Australia and China. While serving as the lead Canadian immigration lawyer for not only multinational Fortune 500 companies, she devised immigration strategies with a compliance-driven approach. She regularly provides legal expertise to regional companies and startups seeking to expand into the Canadian market. While practicing primarily business immigration, Pavan also serves as counsel to top executives and their families, including family-based applications, study permits and applications to overcome medical or criminal inadmissibility. Pavan has helped her clients with criminal records enter Canada while overcoming potential criminal inadmissibility from alcohol or drug related offences or various misdemeanors or serious felonies, including white collar crimes. She has argued successfully before the Immigration Appeal Division and, when required, Pavan has successfully advocated for her clients by negotiating directly with Port of Entry Immigration officers in difficult and complex cases. Pavan consistently maintains an exceptional track record across all immigration practice areas. She is diligent, hard working and will always put the client first. Constantly putting herself in her client’s shoes has led her to enjoy a high-level of success for her clients across various industries. She has successfully facilitated over a thousand Canadian immigration applications including both corporate and employment-based applications as well as personal, study-based or family-based sponsorship applications. Pavan brings her passion for immigration law to each and every case that she takes on. As she has gone through the immigration process herself, she understands what its like to be in your shoes and seeks to create the best client experience possible. In light of her experience and expertise, Pavan has been asked to speak at legal conferences and has been quoted in news and media publications such as Bloomberg BNA. Pavan is an attorney in good standing in both the province of British Columbia and the state of New York. As a duly admitted lawyer in these jurisdictions, she is authorized to practice federal law in both countries. As immigration law is federal and not state specific, Pavan is licensed to practice immigration law in any state, including California. Located in California, she limits her practice to exclusively immigration law. Do you need assistance with Canadian Immigration? We can help you with any questions you may have about the Canadian Immigration Process, various options and practical legal advice.